The Mariners made an announcement yesterday clarifying which major league veterans are going to be with the Rainiers on opening day. Seattle signed a handful of big league veterans to minor league contracts prior to spring training, for the purpose of taking a look at them and seeing if they could help the club. Because these players have so much big league experience, they are granted contract rights not afforded to younger players. They are usually able to negotiate “outs” in their contract, giving them the opportunity to become free agents at the end of spring training (or some other predetermined date) if they do not make the major league team. The players this year were Endy Chavez, Franklin Gutierrez, Joe Saunders, and Kevin Correia. Yesterday the Mariners announced that Chavez and Correia elected to become free agents, while Gutierrez and Saunders restructured their contracts and agreed to play in Triple-A. So we are now confident that Guti and Saunders will be Rainiers when the season starts next Thursday. Yesterday the Mariners traded former Rainiers pitcher Erasmo Ramirez to the Tampa Bay Rays in exchange for Triple-A left-hander Mike Montgomery. Ramirez is out of minor league options, so once it became clear that he wasn’t going to make the Mariners opening day roster, the club worked quickly to move him. Ramirez now hopes to make Tampa’s big league club. 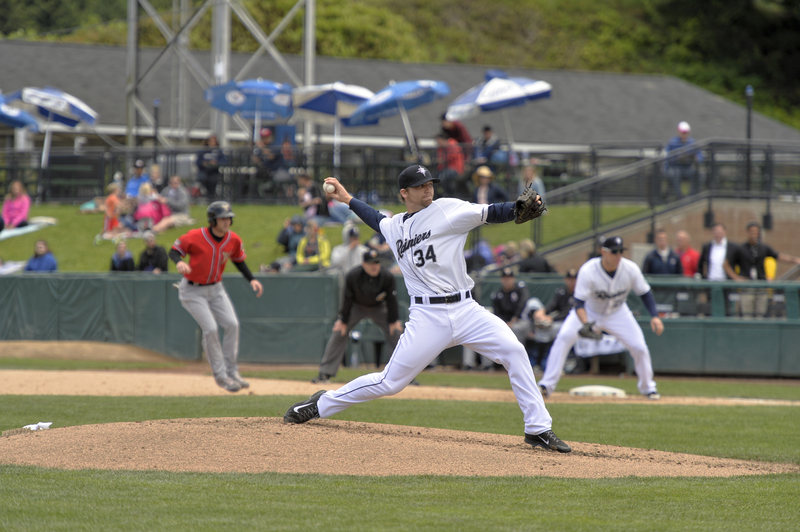 Ramirez pitched for Tacoma for parts of four seasons, from 2011 to 2014. He made 43 career starts for the Rainiers, going 18-13 with a 3.82 ERA. Erasmo was fun to have on the team – he always has a smile on his face; we wish him the best with his new club. As for the new guy, we can anticipate having Montgomery on the Rainiers pitching staff. Montgomery was once considered the Kansas City Royals top prospect, dominating the lower levels of the minor leagues. But when he reached Triple-A Omaha in 2011, things started to fall apart. He had two rough seasons with Omaha, was traded to Tampa in the big James Shields/Wil Myers deal, and pitched for Triple-A Durham the last two years. His 2014 season showed some promise at the beginning, when he went 9-1 with a 3.21 ERA and participated in a combined no-hitter before the all-star break. But after the break he went 1-4, 7.63 which sort of put a damper on what had been a great season. Montgomery is 25 years old and left-handed. Even though this will be his fifth season in Triple-A, he still has a good chance to contribute in the major leagues someday. Now let’s get to the best news of the last 48 hours: The Red Hot is going to have a sausage stand at Cheney Stadium this year. If you don’t know The Red Hot, it’s a sausage-and-microbrews joint over on 6th Avenue. They have all kinds of specialty sausages and rotating taps. I love the place – I usually get the brat loaded up with their stoneground mustard. Now they will bring a selection of sausages to the concourse of Cheney Stadium. And while the 6th Ave location is 21-and-over only, the ballpark location will serve all ages. The guys over there are big Rainiers fans, and it will be a treat to have their food in the ballpark. The News Tribune has a story about our hot dogs. Yesterday’s moves essentially set the Mariners opening day roster. Tampa Bay has had injuries in its starting rotation, so the Rays are looking for Erasmo Ramirez to step in. marc w of USS Mariner has a complete look at the Erasmo Ramirez – Mike Montgomery trade. Good stuff from Bob Dutton, who talks to some Mariners players about bunting against the shift. The Seattle Times says that two guys who have had the best spring training camps for the Mariners are Taijuan Walker and Mike Zunino. The Mariners are going to be better against opposing left-handed pitchers, Jerry Brewer writes. Brad Miller is over the flu and back in the lineup. And he cut his hair. Ryan Divish’s Musings Morning Mariners from today looked at the ‘final’ 25-man roster, and on Tuesday he mused about Rickie Weeks playing first base. Yet another expert has projected the Mariners to win the AL West – this time it’s Grantland’s Ben Lindbergh. Let’s add Dave Cameron of Fangraphs to the list – he has the M’s winning, too. Fangraphs has a very detailed look at the Mariners farm system heading into 2015. Top prospect Alex Jackson did a Q&A with MiLB.com. If you are looking for an analysis of his swing, Baseball Prospectus has you covered. Ex-Rainiers first baseman Justin Smoak has been battling PCL stalwart Daric Barton for a roster spot in Toronto. The Baltimore Orioles released Matt Tuiasosopo. Hopefully he’ll hook on with another club. Former Rainiers and Mariners outfielder Charlton Jimerson has written a book, and you can buy it here. Larry Stone has a terrific column on former Washington State baseball coach Bobo Brayton. The Cubs sent top prospects Kris Bryant, Javier Baez, and Addison Russell to Triple-A, and the Iowa Cubs had a big day at the box office. Former PCL batting champion Riccardo Ingram has passed away. He hit .348 for Salt Lake City in 1995. The Mariners had an eventful weekend, to say the least. There was bad news on Friday, a tragedy on Saturday, and then a move toward the future on Sunday. The Tacoma Rainiers offer their condolences to the family and friends of Mariners pitching prospect Victor Sanchez, who passed away on Saturday. Sanchez spent roughly six weeks in a coma after being struck by the propeller of a boat while swimming off the coast of his native Venezuela in early February. The 20-year-old was an excellent pitching prospect, but the outpouring of messages via social media indicate that he was a great teammate and good friend of many. Sanchez never played for Tacoma, but several Rainiers players from last year had previously been teammates with him. There is more on Sanchez in the links below. On Friday, Major League Baseball gave Mariners reliever David Rollins an 80-game suspension for performance enhancing drugs. Rollins appeared to be the favorite to win the last spot in the Mariners bullpen – the second left-hander, replacing the since-departed Joe Beimel from last year’s squad. There is further confusion because Rollins was a Rule 5 Draft selection from the Houston Astros. The Mariners were required to keep him in the majors all season, or else return him to Houston. The is new territory – MLB will have to make a ruling on what the Mariners and Astros are going to do about this. On Sunday the Mariners had a big round of roster moves, nearly setting their opening day roster. The moves settled two of the position battles in Mariners camp: Taijuan Walker made the starting rotation over Roenis Elias, and Jesus Sucre hung on to the backup catcher slot over challenger John Baker. Everyone listed above will open the season with Tacoma if they are still in the organization on April 9. Major League veterans like Endy Chavez, Baker, Kevin Correia, and Joe Saunders may have contractual language that allows them to become free agents before opening day. This information is rarely released to the public, so all we can do is wait and see what happens. The organization currently has too many Triple-A caliber players, so there are going to be some cuts (do they want both Endy Chavez and Franklin Gutierrez in the Tacoma outfield along with Stefen Romero and James Jones?) or trades (sorry no speculation from me) or surprising Double-A assignments (D.J. Peterson? Patrick Kivlehan?) prior to next Friday. The death of Victor Sanchez was devastating to his minor league teammates. The Mariners PR Blog has a tribute page. Sunday’s roster moves shaped the Mariners opening day roster. Bob Dutton suggests that the Mariners intend to use a “modified six-man starting rotation” this season. Here’s the news story on David Rollins‘ suspension. Felix Hernandez is ready for the regular season, Jerry Brewer writes. Brewer brought up an important point: it is almost impossible for the Mariners bullpen to be as good as it was last year. The Mariners hope to get a steady performance from new outfielder Seth Smith. Nathan Bishop remembers the Kingdome. Mariners Morning Muses from Ryan Divish: today he writes about shortstops getting healthier, on Sunday he wrote about the roster moves, and Saturday marked the beginning of the dog days of spring training. The Seattle Times has yet another column about how TV money can allow the Mariners to increase their payroll. Read it here if you missed the first five times they ran the same story. MLB.com has a look at Mariners prospects to watch in 2015. Ex-Rainiers outfielder Mike Wilson has signed with the independent Winnipeg Goldeyes of the American Association. Legendary Washington State baseball coach Bobo Brayton has passed away. John Blanchette from the Spokesman-Review has some Bobo stories in this column. Russell Wilson took batting practice with the Texas Rangers, and even hit a homer. It’s cool that he likes baseball, but Dave Boling writes that the whole publicity stunt is cringe-worthy. The El Paso Chihuahuas are hosting the Triple-A National Championship Game this September. Tacoma Rainiers single game tickets are available now for the entire season. Make your plans early to get the best seats! Today the Rainiers played the El Paso Chihuahuas on the Padres side of the Peoria Sports Complex. We were on a quadrant of fields behind the main stadium, and the Padres and Mariners Double-A teams were playing each other on a neighboring field. Tacoma’s first two outs in the top of the first inning were made at third base. James Jones had a great at-bat to open the game, seeing several pitches from El Paso lefty Robbie Erlin before crushing a deep opposite-field double. He was immediately caught trying to steal third base. Ketel Marte drew a walk, and Kevin Rivers singled hard to right field – and Marte tried to go first-to-third, but was thrown out by the El Paso right fielder. In the third inning, Tyler Smith hit a leadoff triple when the center fielder misplayed his fly ball. He was stranded at third base when the next three hitters went strikeout, strikeout, strikeout. The game was 0-0 going to the bottom of the fifth when James Gillheeney came in to pitch for Tacoma. He allowed a leadoff double and then walked the next guy – trouble, right? Well he bore down and should have gotten out of the inning unscathed, but a series of defensive blunders behind him allowed three runs to score and the inning was “rolled over” (i.e. ended before three outs were recorded). There was a dropped soft liner that ended up as a single, a double play grounder that resulted in zero outs… that kind of stuff. Starting pitcher Mike Kickham looked really sharp, delivering four scoreless innings and striking out many. I wasn’t counting, but he may have had as many as seven strikeouts. Left-handed batters in particular struggled to make contact against him. I believe he allowed just one hit. John Hicks started at catcher and yanked a hard double to left field. Hitting coach Cory Snyder said that Hicks has looked better at the plate this spring. Franklin Gutierrez played left field again, giving further indication that he’s healthy and may break camp with the Rainiers. D.J. Peterson played first base for the second day in a row, leading me to wonder if he may see more time at the position than the Mariners have publicly indicated. He didn’t have any hard-hit balls while I was watching. I can’t stop looking at Skinny Montero. It’s truly amazing. Left-hander Kyle Hunter looked impressive in the seventh inning, notching a pair of strikeouts while allowing one single. Hunter had some success at Double-A Jackson and could see some Triple-A time this season. There was an interesting surprise in the eighth inning. A 23-year-old righthander named Richard Vargas came in the game throwing 95 mph fastballs that had some movement. He’s a late bloomer due to an elbow fracture that limited his innings for three years, from 2011-2013. Last year he relieved at Jackson and had some pedestrian statistics, but seeing him in person makes you think he has a chance to reach the majors. It’s a big league fastball, at least. He’s a name to file away. Other than the two relief pitchers mentioned above, the late innings were played by lower-level players after the starters left the game. I spent some time with new skipper Pat Listach on Wednesday evening and came away impressed. He’s a fiery guy. I’m not sure if that is going to reveal itself in terms of on-field antics, but he’s definitely a high-intensity guy. I think that Rainiers fans are going to like him. I asked him about his managerial style and he said it depends on his player personnel. He was a speed player and he likes to put the game in motion – but only if he has players capable of playing that way. In Wednesday’s Triple-A game, James Jones and Ketel Marte executed a double-steal in the top of the first inning with no outs. Listach said that Jones will always have the green light – so that should be fun. Heard back from Andrew Carraway today. He says he finds it funny to say he is “retired,” saying that Tom Glavine gets to retire; he just stopped playing baseball and is doing something else. He’s now working full-time for an investment firm in Richmond, Virginia. The Rainiers Preseason Party (free to the public) is this Saturday, and The News Tribune has a story on one of the two bands playing the event. Taijuan Walker continues to deal in spring training, but manager Lloyd McClendon isn’t saying if he’s made the team or not. Buster Olney has Walker listed as one of three young starting pitchers to watch (subscription required). The Mariners are working with Brad Miller, hoping he can improve his defense at shortstop. In today’s Morning Mariners Musings, Ryan Divish muses about how good major league teams have good players in Triple-A. Rickie Weeks might hit leadoff sometimes. He’s done it before, for the Brewers. Ex-Rainiers reliever Steve Delabar was surprisingly optioned to Triple-A by the Toronto Blue Jays. Today I drove out to Surprise! to see an early version of the Tacoma Rainiers play the Kansas City Royals “Triple-A” group out on the backfields of the baseball complex there. I put “Triple-A” in quotes because the Royals had major leaguers Chris Young and Greg Holland pitch against Tacoma. And Tyler Pike was the starting pitcher. That lineup doesn’t look too far off what we may see on April 9. Second and third base will probably be different, and we expect John Hicks at catcher, Stefen Romero will be in there, but otherwise it seems pretty legit. Things got off to a great start: Jones beat out a single, Marte drew a walk, and then with Peterson at the plate the duo pulled off a double steal. Peterson popped up, Gutierrez drove in a run with a grounder… and then they ended the inning, because Chris Young had reached 20 pitches. This would become a theme. Young was unable to get three outs in 20 pitches in each of the first three innings. Who knows how many runs the Rainiers would have scored without the innings being “rolled over” – which is a common occurrence in minor league spring training games. When the game ended, the scoreboard said Omaha 7, Tacoma 1 – but that’s really misleading. Patrick Kivlehan hit a pair of singles, with one coming off the major leaguer Young (yes, the Mariners fifth starter last season). Kivlehan was also able to make contact against the Royals all-everything closer, Greg Holland (he popped up). Kivlehan looked OK in right field. Outfield is a fairly new position for him but I think he’ll see a bit of time out there for Tacoma this season. It was nice to see Ketel Marte draw a pair of walks against Young. Patience is something he needs to improve and he had good plate appearances today. Franklin Gutierrez had a hard single to left off Young. Guti is playing again after being slowed by a groin injury. He left after five innings (like many players). Skinny Montero went 1-for-3 with a single. Didn’t get to see him play first base today. There were some mid-game changes, including Jabari Blash entering at first base. He stretched out his mammoth frame to help record a tough out on a grounder in the hole to the second baseman. 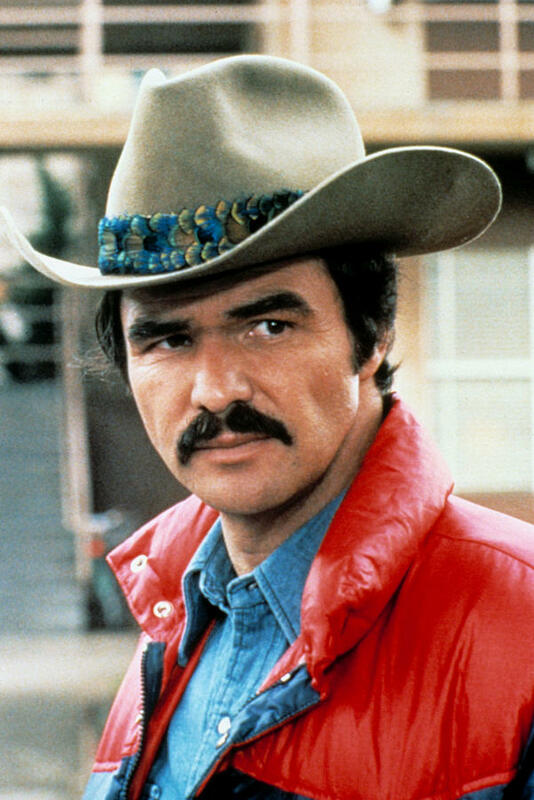 I saw Robinson Cano‘s cousin, Burt Reynolds. He looks absolutely nothing like this guy. On the pitching side, Tyler Pike tossed the first four innings and allowed three runs. He’s not going to break camp with the Rainiers but we could see him someday if he regains the form he showed in 2013 with Clinton. Pike is only 21 years old. More guys who aren’t likely to be Rainiers this season pitched the middle innings: Moises Hernandez tossed a 1-2-3 fifth inning, and Jordan Shipers worked two rough frames. Finally Rainiers reliever Lucas Luetge entered the game. He pitched two scoreless innings to wrap things up, retiring six of the seven batters he faced. I stood behind the radar gun briefly and saw him reach 92. Apparently Luetge is taking this whole pace-of-play plan seriously: he got called for quick-pitching to Omaha’s Dusty Coleman! The umpire ruled Coleman was in the box but not ready to hit. The Rainiers disagreed – it would have developed into a situation if it wasn’t a meaningless minor league spring training game. It was fun to be at the field and see a game again. We’ll do it tomorrow, too. With his knee problem in the rearview mirror, Willie Bloomquist is now battling a glove problem. Left-hander J.A. Happ had a rough outing yesterday, but once again: it’s only spring training. In the PCL, the Colorado Springs Sky Sox roster is starting to take shape. The story mentions slugger Matt Clark, who could put up some big numbers at that elevation. The Fresno Grizzlies gained national attention by announcing a promotion and then immediately rescinding it. Whatever. Like today, tomorrow’s post will come late in the day, after I get back from the fields. Greetings from sunny Peoria, Arizona, where it is 81 degrees at first pitch of today’s Mariners-Padres Cactus League game. I’m writing from the press box at the big league game – which is not what I expected to do today. My goal on this annual trip is to watch the Triple-A club as much as possible. And I’ll be doing that on Wednesday and Thursday, but today I struck out. The entire Mariners minor league system had a half-day today. The pitchers threw bullpens and the hitters took batting practice in the morning, but there were no minor league games in the afternoon. Luckily my flight to Phoenix was early and I was able to watch some Rainiers batting practice, and briefly speak with new manager Pat Listach. First things first: upon arriving at the camp, I stopped by the Mariners office and talked to a few folks I know. Multiple people brought up Rainiers pitcher Jordan Pries, talking about how impressive he has looked in big league camp. Apparently he’s picked up a couple of miles-per-hour on his fastball and has been in the 92-93 range this spring. It’s good to see him getting noticed here – he’s all but destined to start the season with the Rainiers, but a good impression from spring training can help him get called up later. The story about Jesus Montero losing 40-45 pounds is totally true. You should see the guy – he’s almost skinny. A coach told me the weight loss has improved his athleticism and he’s better at first base than we saw last year – I’ll keep an eye on this the next two days while I’m watching games. Whoa, Brad Miller just smoked a double in this big league game. Shot to right-center. Mariners are facing Padres No. 1 starter Andrew Cashner (maybe No. 2 now that they have James Shields?). In a Triple-A batting practice session at minor league spring training, there are a lot of dudes hitting. Far more than will actually be on the Rainiers roster in April. The grouping is a generalization at this point – the Mariners Player Development Department headed by Chris Gwynn will figure out where players are actually being assigned during the first week of April. I ran into last year’s manager Roy Howell, who is back where the organization originally intended for him to be last year: the Double-A Jackson hitting coach. Roy said he’ll miss Tacoma, and he had a nice off-season on the ocean in his hometown of Lompoc, California. I made sure to remind him that he should brag about having a winning record during his season unexpectedly managing the Triple-A club (his Rainiers went 74-70). Talked to former Rainiers pitcher Rich Dorman, who will spend the 2015 as the Mariners pitching coach for their entry-level team in the Arizona Rookie League. We reminisced about his 14-strikeout game against the Salt Lake Bees in 2006 – he’s still unhappy that then-manager Dave Brundage pulled him after eight innings and 92 pitches. No Tacoma player has had 14 strikeouts since Dorman did it. I brought up this subject because Taijuan Walker made a run at it last season, when he struck out 13 Fresno Grizzlies on August 10. Time for me to start paying attention to this big league game: expected Rainiers Carlos Rivero and Shawn O’Malley have just entered the game, along with possible Rainiers Jabari Blash and Daniel Paolini. Also I’ll get my first look at top prospect Alex Jackson, who I expect will be assigned to Low-A Clinton. The national media is hyping the Seattle Mariners. Larry Stone gets to the bottom of this startling reality. Even Sports Illustrated has the Mariners on the cover of one of their six regional preseason issues. Ryan Divish’s Mariners Morning Musings wonder if today’s exhibition is featuring the opening day lineup. Both the Seattle Times and The News Tribune have articles on Mike Zunino‘s attempt to improve at the plate. I was asked to ramble about the Mariners for the Baseball Prospectus podcast, so I did. (The podcast is on the free access part of the site). The Associated Press has a story on the pace-of-play measures which are being implemented in Double-A and Triple-A. Interesting that the pitchers interviewed think that hitters will have more of an issue with the new rules than pitchers. Ex-Rainiers infielder Nick Franklin strained an oblique and won’t be ready for opening day with Tampa Bay. That’s it for today. Tomorrow I’ll drive out to Surprise! to see Tacoma play Omaha at the Kansas City Royals complex. I’ll get a full report posted as soon as i am able – hopefully Wednesday evening, but possibly Thursday morning. Word developed late last week (on this very blog, in the comments section) that Rainiers pitcher Andrew Carraway retired from baseball, and Bob Dutton of The News Tribune confirmed it with the Mariners over the weekend. Carraway, 28, was a steady member of the Tacoma Rainiers starting rotation over the past three seasons. He made a total of 64 starts for Tacoma during that time, going 19-20 with a 5.13 ERA. He arrived with a statement: in his Triple-A debut on May 11, 2012, Carraway tossed seven innings of one-hit ball against Albuquerque at Cheney Stadium. The following month he pitched a complete-game two-hitter against Fresno. A finesse-style right-hander, Carraway relied on exceptional command of his pitches in order to have success. On days where he could place the ball exactly where he wanted to, he was very good. But when his command slipped a little bit, hitters got to him. We wish Andrew the best with his new career path, whatever it may be. I reached out to him via text and haven’t heard back yet – but if he responds with an update, I’ll let you know. The News Tribune reporter Bob Dutton put on his analyst hat and looked at the final four position battles in Mariners spring training. Bob Condotta looked at one of those battles, the duel between Taijuan Walker and Roenis Elias for fifth starter. Mariners 2014 first round draft pick Alex Jackson hit his first spring training home run in a Cactus League game against Texas on Friday. The game was not televised and there was no video footage… until now. Like the Zapruder film, or the recently unearthed footage of the 1919 World Series, we have some late-emerging documentation. Looks like the 19-year-old prospect went deep off major league reliever Shawn Tolleson. On Sunday, James Paxton made his Cactus League debut and was effective if not exactly in midseason form. Here’s the news story about the big round of cuts the Mariners had on Friday (I wrote about these on Friday – scroll down for the Tacoma take). Catching up on Ryan Divish’s Morning Mariners Musings: today he looks at an apparently improved Mike Zunino, on Sunday he dealt with Rickie Weeks (not really) playing first base, and Saturday‘s edition focuses on the fifth starter battle. Friend of the Rainiers Jim Moore predicts that the Mariners will hit 200 home runs. He breaks it down by player and even by radio announcer. ESPN’s Buster Olney made his World Series predictions – and he has the Pittsburgh Pirates defeating the Seattle Mariners in the Fall Classic. A quick check shows that the planet is still spinning on its proper axis, so I dunno. One ex-Rainiers fortune is another ex-Rainiers folly. Asdrubal Cabrera beat out Nick Franklin for the starting shortstop job in Tampa – though Franklin still has a good chance to win at least a share of the second base job. In Texas Rangers camp, Carlos Peguero is having his typical great spring and the team is trying to figure out what to make of it. Chris Young – who was the Mariners starting rotation surprise last year – is working out of the bullpen for Kansas City. Great article by former major leaguer CJ Nitkowski on the anxiety of spring training cut days. It includes tips on how to get cut. In the PCL, Colorado Springs (now a Brewers affiliate) will have two former first round picks on the roster. Weird things happen in spring training, like Indians pitcher Trevor Bauer allowing four triples in one inning. That’s a radio guy dream right there. Four triples in one inning! Great story from Jorge Arangure on the autograph-collecting kid from the suburbs who ended up working for Vladimir Guerrero‘s baseball academy in the Dominican Republic. I’m off to Arizona for spring training on Tuesday morning. Our blog-posting schedule will be daily but erratic – I’m going to have daily updates on what I see down there, and I’ll be getting those posts up whenever time permits. * Call me crazy, but I did not dive into any of Andrew’s reading recommendations. The Mariners had another round of spring training roster moves today, and they help shed some light on what the Tacoma opening day roster is going to look like. The moves leave 39 players still in big league camp for Seattle. There are some surprises here. We expected Hicks, Marte, Montero and the two prospects to get sent to minor league camp around now. But I figured Romero, Jones and especially Luetge would stay in big league camp until the end of the month. We can now write in Romero and Jones as starting outfielders for the Rainiers. Peterson will play first and third, with Montero also getting reps at first and DH. Kivlehan will probably move between third, first, and left field. Hicks is the catcher. Luetge is now going to have to hope for a midseason call-up. Maybe he’ll go back-and-forth between Triple-A and Seattle, like he did last year. The remaining left-handed relievers in big league camp shooting for a roster spot are David Rollins, Tyler Olson, and Joe Saunders. I’m curious to see what role Rafael Perez has if he pitches for Tacoma. His MLB experience is as a left-handed set-up guy, but his career resurrection last year came as a result of working as a starting pitcher. I’ll try to see find out what the plan is for him when I get to Arizona next week. What about Franklin Gutierrez? He sat out all of last year to get healthy, and now he isn’t playing in spring training games due to a groin problem. From the outside, it’s hard to speculate how committed the Mariners are to giving him a chance on a crowded Triple-A roster. Over at Cheney Stadium, we are very proud of our creative team led by Tony Canepa and Ben Spradling. The duo helped the Rainiers win seven “Addy” awards from the Seattle chapter of the American Advertising Federation, beating out several large advertising agencies. The big winner was the season ticket renewal piece, which was designed as a classic children’s book. Congratulations to Tony, Ben, and everyone who assisted them. Don’t let it get to your heads, though – we’re still gonna have tarps to pull next month. The News Tribune has a business story on the success of the Rainiers creative marketing. For Shawn O’Malley, the opportunity to sign with the Mariners may have come from above. The M’s plan to bat Seth Smith second in the lineup against right-handed pitchers. Bob Dutton wrote about Justin Ruggiano and the Mariners outfield situation. Ryan Divish’s Mariners Morning Musings from today look at the roster moves. On Thursday the Mariners played a night game, so Divish kept his morning musings to himself – which is probably for the best. The Mariners hope to be better hitters against fastballs, Ken Rosenthal writes. Respect an opponent: Arizona pitcher Chase Anderson has faced the Rainiers many times while with Reno. It will probably get a little dusty wherever you are when you read this story. Just when you thought all of the goofy new minor league team names were awful, we get blessed with the Hartford Yard Goats. That is awesome. Here’s a new one: the Class-A Salem Red Sox lost their radio announcer because he left to become the voice of Ultimate Frisbee. As long as he doesn’t move in on my bid to call the World Series Of Beer Pong, I’m OK with it. Have a great weekend, and be safe while you indulge in National Corn Dog Day. You are currently browsing the Booth, Justice and the American Pastime blog archives for March, 2015.